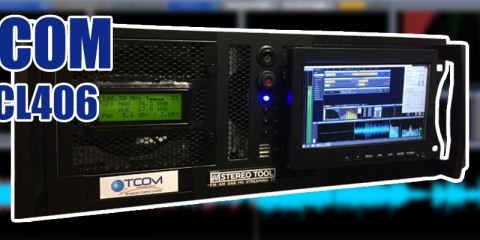 The TCOM Broadcast Audio Platform is an advanced computing system featuring the latest and outstanding European technologies for true wideband digital audio processing, designed specifically for FM and Streaming requirements of radio broadcasters.With steady and consistent audio modulation by the TCOM BAP featuring Breakaway One and Stereo Tool audio processors, your listeners are kept in tune with a professional confident sound that they will enjoy day in and day out, greatly improving your stations reputation with a true professional quality sound. Easy to Use -Plug in a local Ethernet Internet connection and obtain immediate secure local or remote access from your PC or even your Smart Phone via a App, the BAP is designed to run completely headless. Fix & Process the Audio – with 3 powerful functions of Thimeo (Stereo Tool); from Declipper, Delossifier and Natural Dynamics, then into Breakaway One with 5 powerful functions of Input conditioning, Sound Enhancement, AGC, Bass, advanced clipping & limiting now embedded into Breakaway One natively, this is one outstanding system with a sound warmth like nothing you have heard before. Modulate – with FM MPX including Stereo Generation and advanced RDS encoding directly into the TX or STL without clipping and overshoots, and ITU-R SM-1268 Stokkemask clipper & ITU-R BS-412 limiting options. 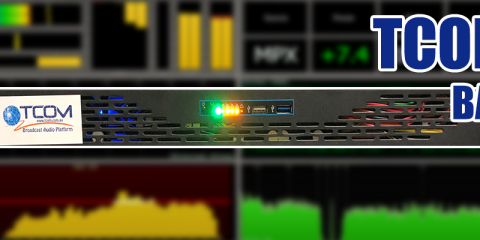 Extend your Coverage as much as 30km without increasing TX power through true noise cutting loudness controls. Analyse your TX to ensure regulatory compliance for deviation, RF shoulders, MPX levels and more. Stream your Audio – of the separately processed sound directly out to a icecast or shoutcast server in high quality AAC+ and MP3 encoding. Warranty & Support – with 1 year back to base warranty and remote support ensures on-going confidence with your purchase. The BAP TX208 model is designed to be placed at a remote transmitter site in combination with an IP link and a BAP TX104 unit at the studio.